Karnataka Chief Minister H.D. 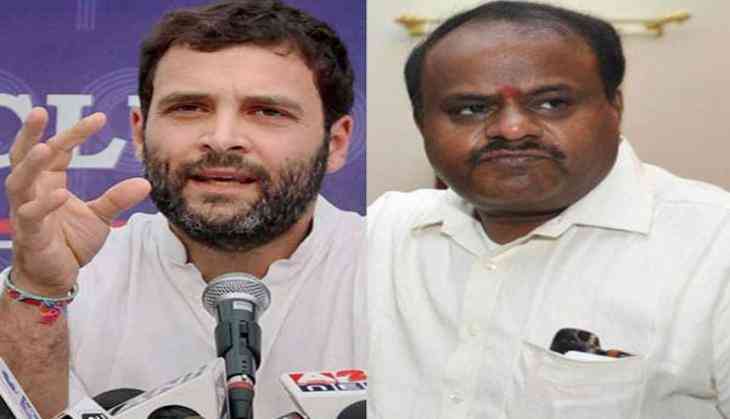 Kumaraswamy on Friday confirmed that tension still looms among Congress leaders with regards to the state cabinet berth allocation. However, the newly-elected chief minister said he is confident that the Congress party will take the right decision in this regard. "Yes, there is some tension there (regarding portfolio allocation), but I am confident that the Congress leaders will take the right decision," he told reporters here. On June 7, Congress party workers protested as expectant candidates Roshan Baig and Ramalinga Reddy were not given ministerial berths. While the grand old party was given charge of 22 ministries, including home, irrigation, health, agriculture and women and child welfare ministries; 12 ministries, including finance and excise, public works department, education, tourism and transport ministries were allocated to the Janata Dal (Secular). Apart from Baig and Reddy, the expectant candidates from the Congress party who were dropped from the cabinet include M.B. Patil, Dinesh Gundu Rao, H.K. Patil, Shyamnur Shivashankarappa, Tanvir Sait, Satish Jarkhiholi, N.A. Harris, Dr Sudhakar, Rahim Khan, Bhyrati Basavaraju, S. Shivalli, Satish Jarakiholi, Eshwar Khandre and M.T.B. Nagaraj.